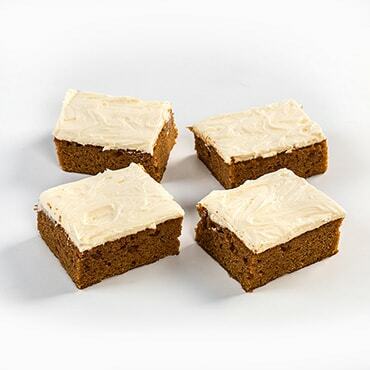 Locally Made and Packed with Pumpkin! Note: This food item cannot be shipped to P.O. boxes, outside of the U.S., or expedited. If shipping to AK or HI, additional shipping charges will apply. Please call 1-800-438-5346 for more information. From Amish Country to Your Table! "Homemade." That's the secret to our area's prized baked goods and why Amish Country has some of the best flavors around. 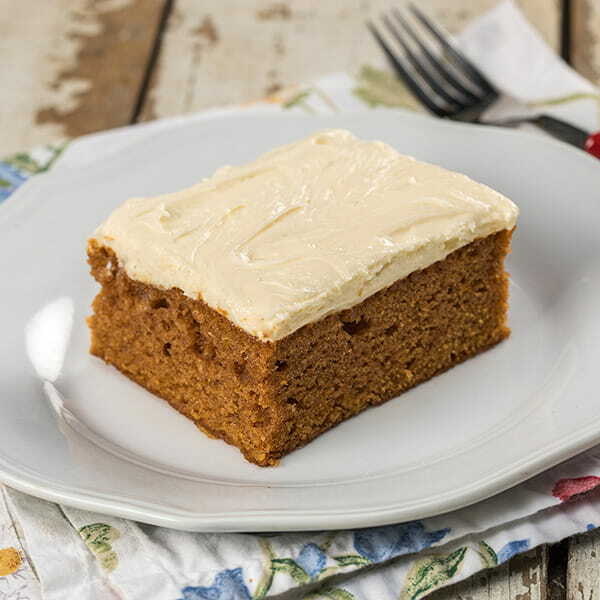 Just like many of our Amish neighbors and friends, our local bakers make everything fresh, following tried-and-true recipes for unforgettable, can-I-have-another-piece results. Ingredients: Bleached wheat flour, malted barley flour, niacin, iron, potassium bromated, thiamin mononitrate, riboflavin, folic acid, pumpkin, sodium bicarbonate, sodium acid pyrophosphate, corn starch, monocalcium phosplate, sugar, soybean oil, ground cinnamon, sodium acid pyrophosphate, corn starch, monocalicum phosphate, vegetable oil blend (palm oil & soybean oil), water, salt, contains less than 2% of soy lecithin, vegetable mono & diglycerides, potassium sorbate (a preservative) citric acid, natural & artificial flavor, beta carotene(color), vitamin A palmitate added, whey, pasteurized cultured milk & cream, stabilizers (guar gum & carob bean gum),artificial flavors, caramel color, citric acid & sodium benzoate. CONTAINS WHEAT, MILK, SOY, WHEY. This food item cannot be shipped to P.O. boxes, outside of the U.S., or expedited. If shipping to AK or HI, additional shipping charges will apply. Please call 1-800-438-5346 for more information.